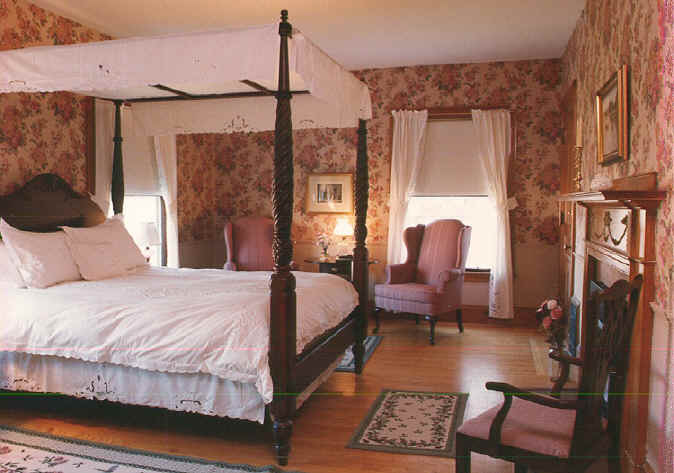 The romantic pink room was originally Miss Page’s room. 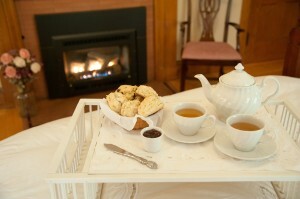 It has one queen-sized canopy bed bedecked with cutwork lace and a working gas fireplace. Overlooking the front lawn, the view of Hyde Park village is delightful when it snows. It has high-speed internet & WiFi, a VCR player, a CD player/alarm clock, and a private bath with an antique claw foot tub and a European hand-held shower. This room can be made to connect with the Governor’s bedroom.